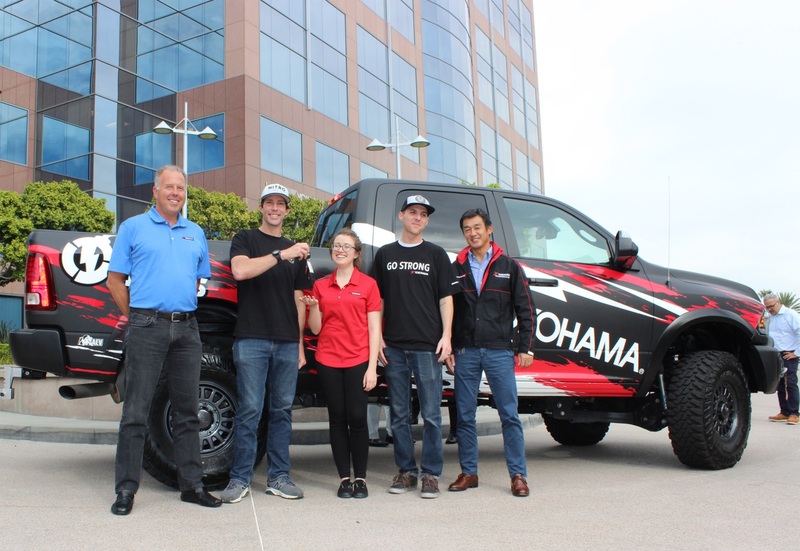 SANTA ANA, CA – (Nov. 8, 2017) – It’s official: Becca Panelley is “Trucked Up.” Panelley of Orem, Utah is the grand prize winner of the Yokohama Tire Corporation/Nitro Circus “Get Trucked Up Giveaway,” and is now the proud owner of a customized, 2017 Ram 2500 Power Wagon Crew Cab 4x4 featuring Yokohama’s GEOLANDAR M/T G003™ mud-terrain tires. The truck was customized with AEV and includes a three-inch dual-sport SC lifted suspension, an Andersen Hitch, a premium front off-road bumper, 17x8.5 Salta HD wheels and differential covers for the front and rear. The custom livery wrap was designed by Jon Sibal and it rides on 37x12.50 R17 GEOLANDAR M/T G003 tires.